Planet Scumm is a quarterly science fiction magazine, published in Portland, OR, published by parent company Spark + Fizz. I helped start Spark + Fizz back in 2015 with friends, musician Tyler Burdwood, illustrator Natalie Kovalcik, and programmer Jared Andrews. What started as a dream to write a music blog has turned into a small press publishing house. As Chief Creative Officer of Spark + Fizz, my job encompasses project management when putting out new publications, overseeing all design work, and scouting out new art contributors. 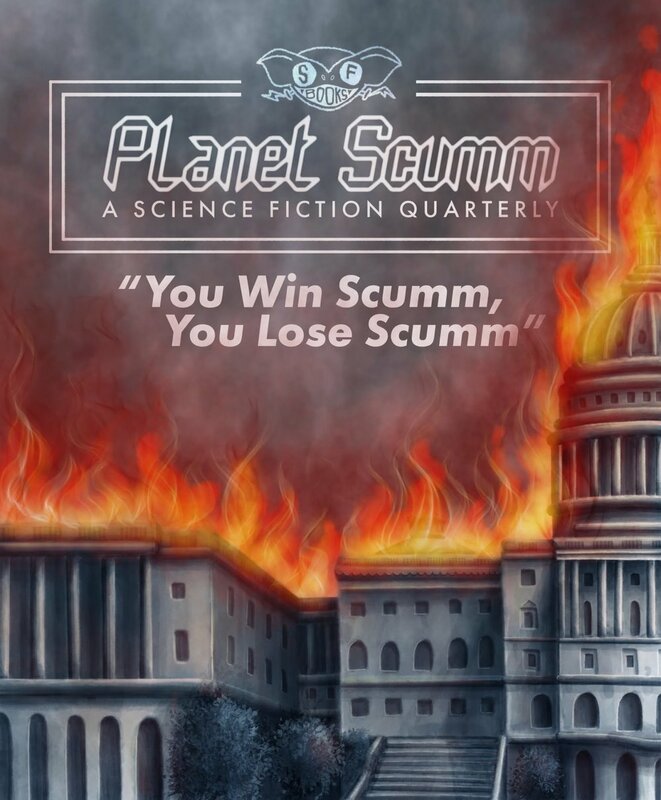 Spark + Fizz’s primary publication at this moment is a science fiction quarterly magazine called Planet Scumm. I sit on the editorial board (along with Tyler Burdwood, Eric Loucks, Sean Clancy, and Sam Rheaume). I am also the production designer, which includes laying out both the covers and the interior text, creating print advertisements, and occasionally, contributing my own artwork. Copies are available in bookstores across the US, including Powell's City of Books in Portland. For issue 5, we did a complete revamp of our cover design convention, opting to emulate the feel of 1950s pulp. I drew a prohibition-gone-Lovecraft themed cover, based on the story “Ain’t We Got Fun” by Paul C.K. Spears. Inspired by the seven deadly sins, all of these characters are original designs. Painted in Procreate with an iPad Pro and Apple Pencil. Prior to my joining the Planet Scumm team, I was commissioned to create a cover for the fourth issue with imagery from featured story Lucky That Way by Jonathan Coumes. This painting was done in Procreate on an iPad Pro with an Apple Pencil.